UNITED NATIONS, Mar 16 2012 (IPS) - The United Nations, which is hosting a major international summit on the global environment in Brazil in late June, points out that while the world’s oceans account for 70 percent of the earth’s surface, only one percent of this area is protected. “Sixty percent of major marine ecosystems (are) either damaged or over-exploited…having negative effects on mangroves and coral reefs,” the world body warns. The growing degradation of the oceans, including overfishing, pollution and loss of biodiversity, will be high on the agenda of the Rio+20 summit of world leaders Jun. 20-22, a follow-up to the historic 1992 Earth Summit in the Brazilian capital. Touching on many related issues will be Expo 2012, scheduled to take place May 12 through Aug. 12 in South Korea’s coastal city of Yeosu, which will focus on the protection of the world’s oceans and coastlines. Titled “The Living Ocean and Coast: Diversity of Resources and Sustainable Development”, Expo 2012 will also shed light on the advances in technology concerning the ocean and coastlines – and ways to resolve the challenges facing these great resources. 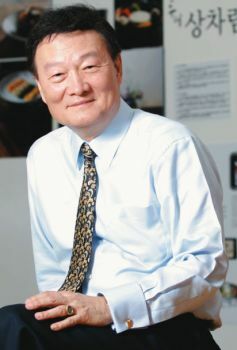 A former senior official of the United Nations and president of the Seoul Tourism Organisation, Koo is an ex-newspaperman with a master’s degree in journalism from Columbia University in New York. In an interview with IPS U.N. Bureau Chief Thalif Deen, Koo said a total of some 106 countries and 27 international organisations are expected to participate in the 2012 Yeosu Expo, as it is known in Korea. South Korea is expecting more than 10 million people to visit the Expo, including half a million foreigners, mostly from China. Q: How important is Expo against the backdrop of the continued environmental degradation of the oceans and the coasts? A: The Expo will play a crucial role simply because so many visitors will carry away an indelible message that urgent policy changes are needed to care for our oceans. The Yeosu Declaration, which aims to strengthen developing countries’ capacities in dealing with the marine-related challenges, is expected to be signed by most countries present at the World Expo. Key topics in the declaration will be understanding the value of the seas and coasts; restoration of the marine ecosystem and biological resources being damaged; sustainable use and preservation of the marine environment and resources; promotion of knowledge and fact- based understanding about climate change. Other topics in the proposed declaration include achieving an increase in the use of marine resources based on the “green growth” principle; focusing on achieving sustainable development without harming or misusing natural resources; participation of citizens in pursuing marine cooperation; and international cooperation to use the seas as a space for co-existence of mankind. Q: How can the Expo help resolve some of these issues? How can the oceans become new frontiers for international cooperation? A: The Expo is a platform for communicating an important message to people often difficult to reach. In educating visitors on what they can do to help preserve our planet, the Expo hopefully will contribute to new ways of thinking. Lectures and demonstrations at a variety of pavilions will address the Expo’s themes. Q: Since the Law of the Sea is primarily the creation of the United Nations, what role will the U.N. play in the Yeosu Expo? A: The Law of the Sea defines the rights and responsibilities nations have in their use of the world’s oceans, thereby establishing guidelines for businesses, environment and the management of marine resources. The United Nations will be at the World Expo with a 1.400-m2 pavilion. Through the combined efforts of 24 U.N. agencies, the pavilion will demonstrate the U.N.’s work and efforts related to oceans and coasts. The pavilion will show visitors in an entertaining way their choices to influence our planet’s most important recourses and how they can help ensure the sustainability of our oceans and coasts. Q: What are the primary themes and main goals of the Yeosu Expo? A: The main theme has been split up into three sub-themes. Development and preservation of the ocean and coast. This sub-theme aims to inspire a new level of cooperation in the international community to combat climate change and create an environment where development and preservation find a better balance. New resources technology. Illustrated will be the progress and future prospects of marine technology, a new growth driver for the advancement of humankind. Creative maritime activities. The relationship between the oceans and humankind through culture and art will be explored. Additionally it promotes the new ideals of people and societies living in harmony with the ocean. In addition, the Yeosu Expo will be an important forum for public education on these diverse topics. This is an effort to create programmes that will change the way we look at responsible development of the oceans. We are sure visitors will return home impressed and better informed. Q: In seeking international commitments on the oceans, what key outcomes from the Expo do you expect? What are the next steps after the Expo? A: As mentioned, most participating countries are thought to sign the Yeosu Declaration, which aims to strengthen developing countries’ capacity to deal with the changing marine environment. After the declaration has been signed, the Yeosu Project will come into force. This project is the practical element that translates the spirit of the Yeosu Declaration and Expo theme into action. These actions include assistance to developing countries in the form of education and training programmes and sharing of knowledge between nations. At the end of the Expo, part of the facilities will remain for ocean research and marine-related organisations. In this way, the Expo will continue to play a role in keeping our seas healthy for generations to come.